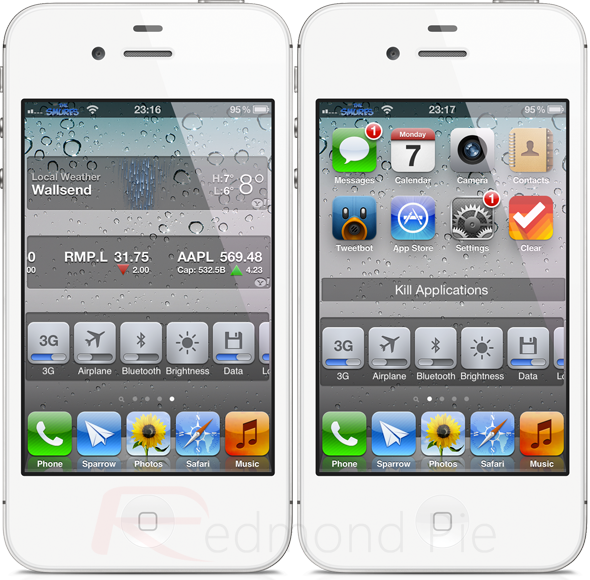 Being an iOS user, if you want to have the best possible mobile experience, it may cause you a little concern to know that Android users have access to a number of handy little widgets which they can place at random locations on their device’s multiple home screens. If you have found yourself suffering from such a jealous curse, then worry not as a new tweak named Dashboard X will alleviate some of that pain. iOS developer Ori Kadosh has produced the Dashboard X tweak which allows users to customize their iOS device’s home screens in a whole new manner, by placing widgets directly onto them. The creation of the extension itself is a great benefit for jailbroken users, but one of the exciting things is that it is made even better by the fact that all of the previously created Notification Center widgets are also compatible with the package. We have seen instances in the past where great tweaks and frameworks are created but developers fail to build add-ons for it, rendering it pretty useless for devices. In this case, that won’t be an issue due to the fact that Dashboard X tweak essentially allows new and existing Notification Center widgets to be added to the home screen. Those who begin to use Dashboard X will also notice that the developer has applied a great deal of thought into the planning and creation of this masterpiece, something that shows itself, due to its ease of use and intuitive user flow. A simple popup allows users to add available widgets to any part of the home screen by tapping and holding on the free display real estate. 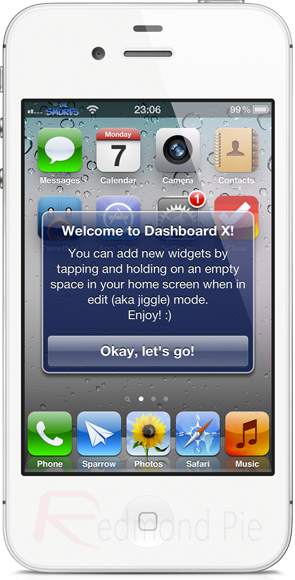 Anyone who is familiar with standard iOS user gestures – in particular the one which allows putting the icons into wiggle/edit mode – will be able to get up and running with Dashboard X in minutes. Additional settings allow users to specify whether the widget will be interactive or not, meaning whether it can be changed, and touched by the user, or act in the background as part of the device’s wallpaper. Giving end users the ability to add Notification Center widgets to their device’s home screen is a reason enough to get involved with Dashboard X, but the package also has an additional trick up its sleeve. By setting up an Activator action, users can also invoke an overlaid Dashboard screen, in a similar fashion that can be found in OS X. The Dashboard overlay will show all active widgets, giving quick access to each one.